Stampede smooth bed rail caps are the ultimate accessory upgrades in style and function when it comes to adding protection from hazards and wear and tear to your bed rails. Made using high strength molded ABS plastic, they are backed by a lifetime warranty from Stampede. Each of these points ensures long lasting protection for your truck's cargo area. 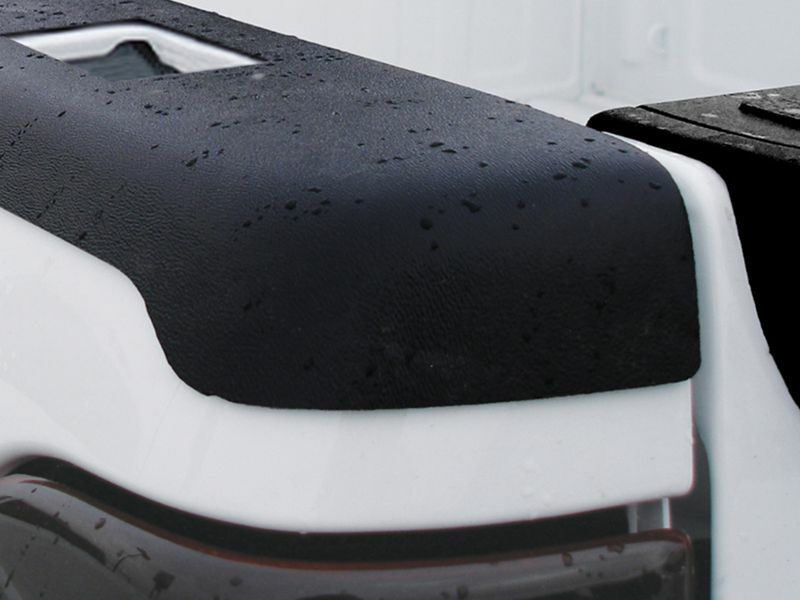 Each pair of Stampede smooth bed rail caps is custom fit to the make and model of your truck. That way, you can order knowing that your truck bed caps will have a perfect fitment to your vehicle. They're also easy to mount to your vehicle. With the included adhesive 3M auto grade tape, it's as simple as can be to install these accessories on your truck without much trouble or need for professional help. Thanks to their durable ABS construction, Stampede smooth bed rail caps are suitable in all climates and won't warp in the sun or crack in the cold. That's an important detail to note, particularly if you live and work in an area with wide temperature swings. They're UV resistant as well, so they won't fade either. They also look phenomenal and add an appealing black highlight to your pickup's appearances. The primary role that Stampede smooth bed rail caps are made for is to keep your bed rails free from scratches, dents, and other blemishes. You can rest easy knowing that these accessories are built to be tough and will more than withstand even the worst punishment you can throw at them and your truck. RealTruck.com offers this fantastic product with free shipping on every order. Why hesitate? Order yours today! Stampede offers a limited lifetime warranty against defects in materials or workmanship on these truck bed rail caps. Stampede truck rail caps offer a simple, easy installation. Simply clean your truck bed rails and apply with included 3M tape. The installation instructions are clear cut and easy to follow. For additional information please see the installation instructions below or call us at 1-877-216-5446 or 701-253-5906.